Does it happen to you that no matter how early you sleep the day before, you still look really tired the next day? For myself, I know perfectly the reason why I look more tired and in fact look older than my actually age. Those unsightly eye bags are mostly the culprit, and no we’re not talking about “aeygo sal”, the cousin of eye bags. 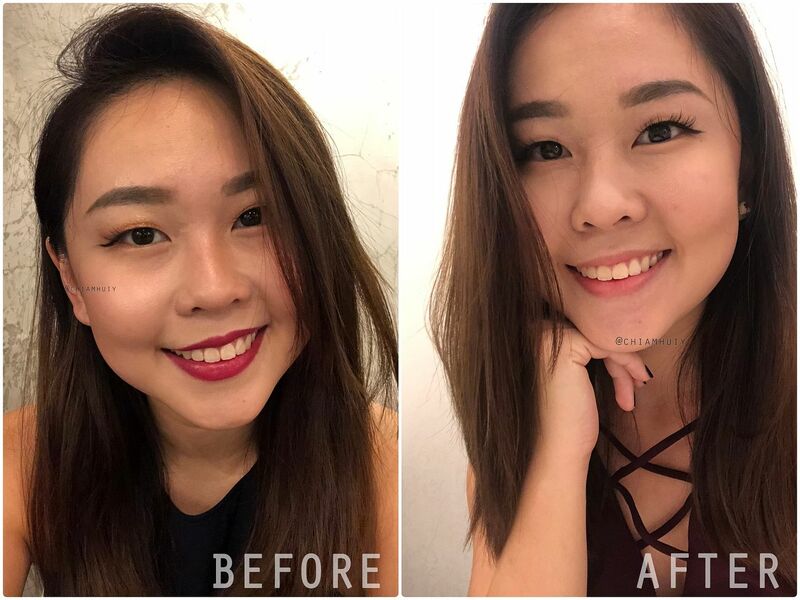 In this review, you’ll read more about how Dr Siew reduce my eye bags without going through an invasive method, by simply using dermal fillers for my under eye rejuvenation procedure. 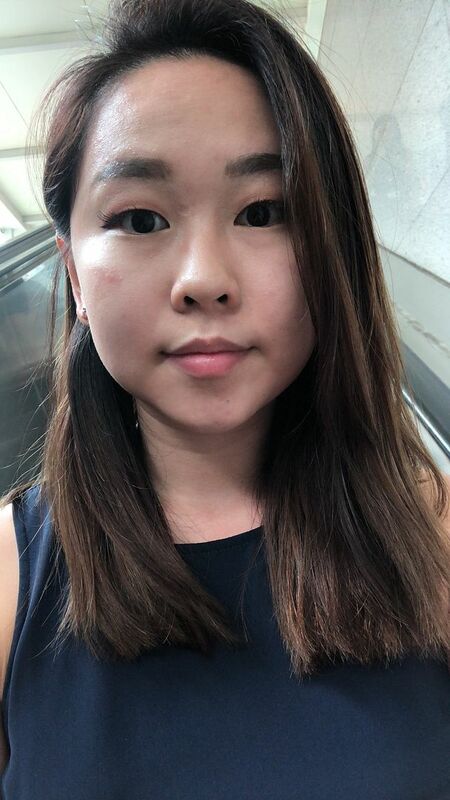 Since very young, I have really prominent eye bags that makes me look awfully tired, and they’re usually worse in the morning, or if I don’t have a good sleep. The bad thing about heavy eye bags is that they’re hard to conceal. 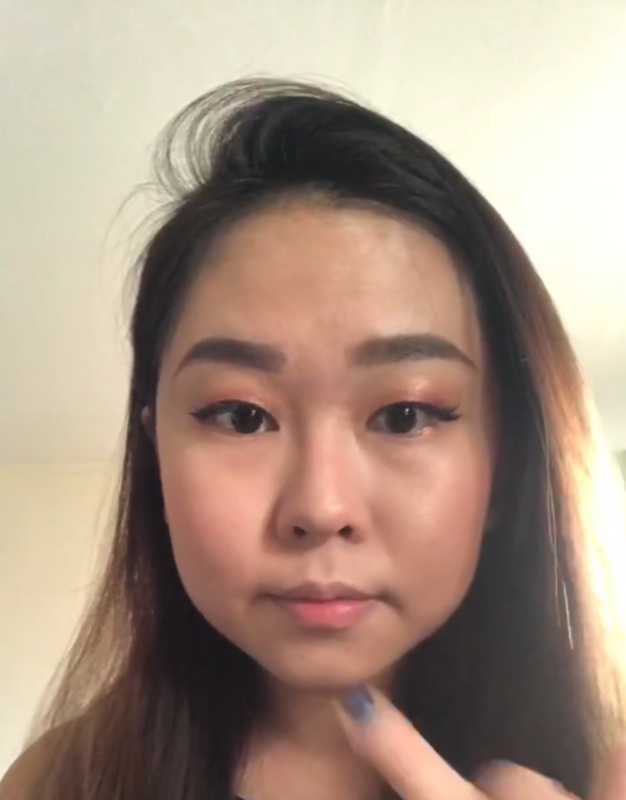 No matter how much you conceal, if the eye bags are protruding out, it’ll still look obvious. And this is me now! I felt like I've grown younger. 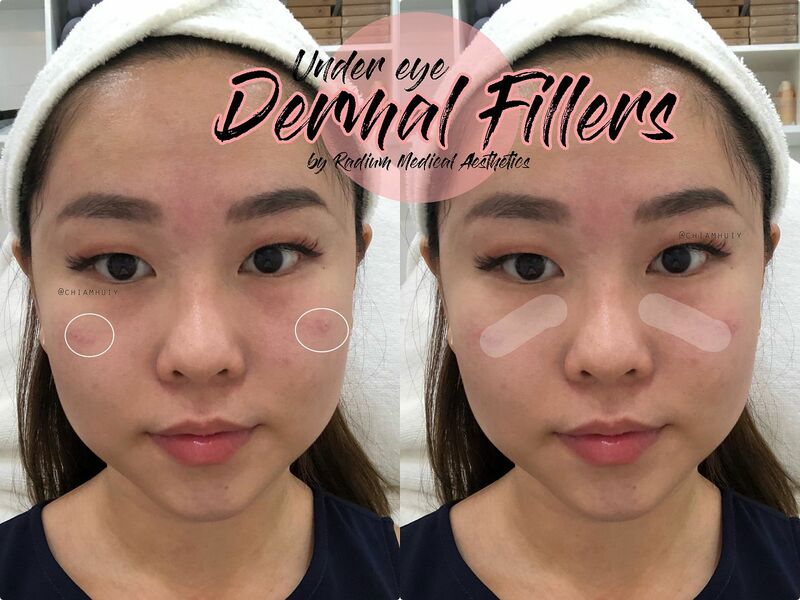 Oh before I start, I did my under eye dermal fillers at Radium Medical Aesthetics, by Dr Siew. 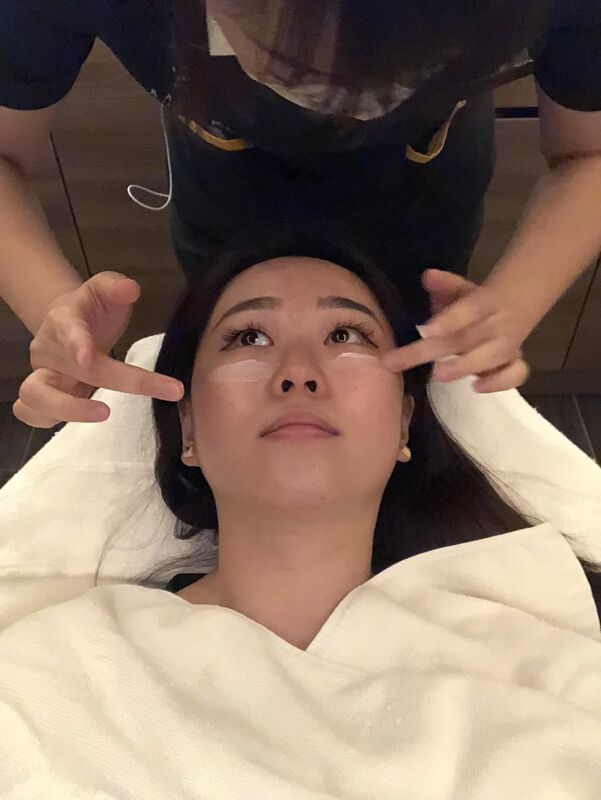 The other word for the eye bags are tear troughs, where it is usually formed by a line extending from the inner corner of your eye, and down towards the upper cheek. On the left (circled) are the places the fillers will be injecting from. Why do dark circles and eye bags form? Some may be inherited, while some can be caused by the lack of sleep. Age and fatty tissues are also some of the causes for eye bags. 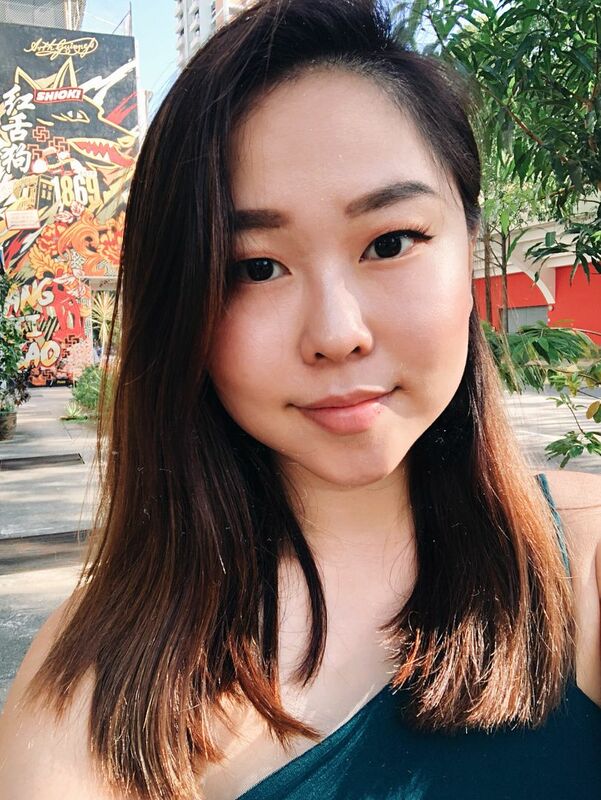 My mum has really large eye-bags as well so I am guessing mine comes from her (oops haha). How does Hyaluronic Acid (HA)/ Dermal fillers help? One of the fastest ways to reduce dark circles is through the help of Hyaluronic Acid (HA) fillers. It fills up the dents/ hollows caused by eye bags, and levels up the skin under the eyes. 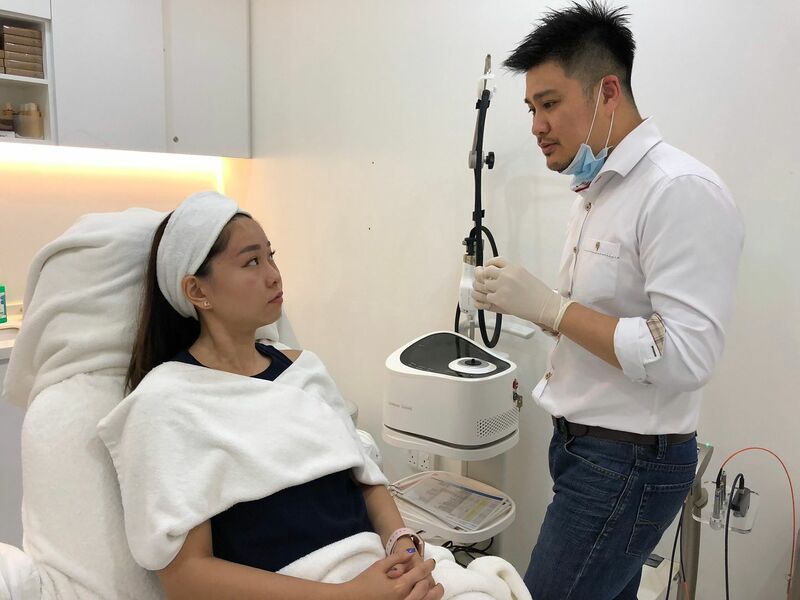 Also, the Hyaluronic Acid will fill up right underneath the skin so that visible blood vessels beneath the thin skin under the eyes will get covered up, thus lightening the dark circles. 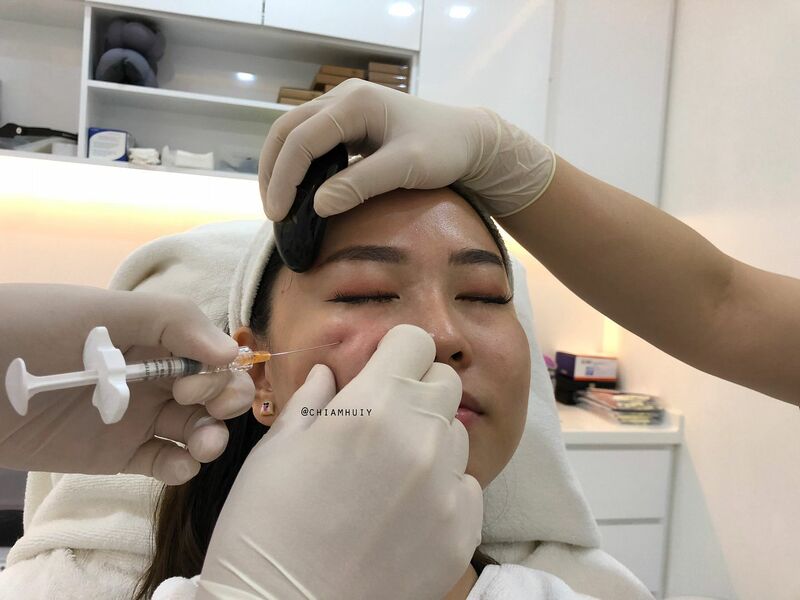 Other than filling up the dents, Hyaluronic Acid (HA) fillers also hydrates the under eyes, stretching the skin and making the dark shadows less obvious. Naturally, with the fillers in place, it stretches the skin to reduce wrinkles as well. 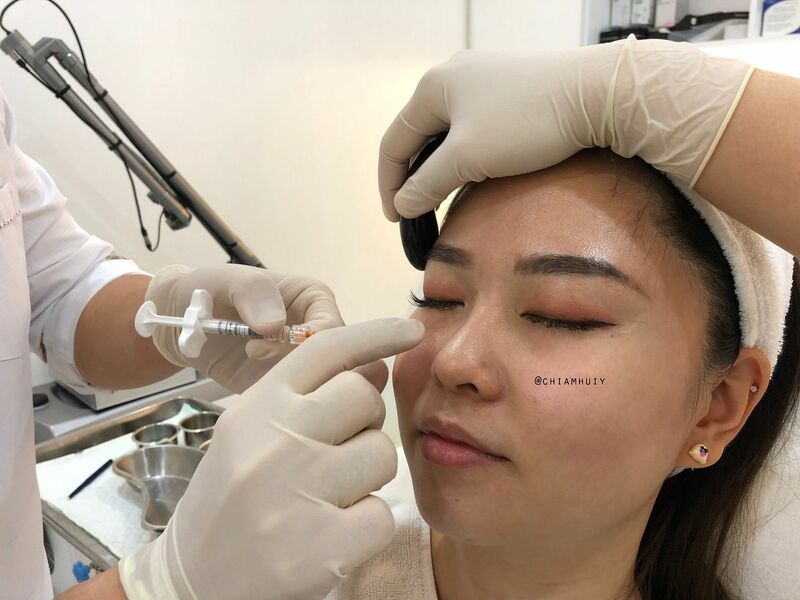 Is injecting fillers under the eyes painful? Honestly, I will rate the pain level as 2/10. It’s very tolerable, especially if your doctor is skillful. The only time it hurts is when the needle pokes the skin. Afterwards, you shouldn't be feeling anything because your skin has already been prepped using numbing cream beforehand. With the help of numbing cream, and a vibrating device that distracts me from feeling the pain, it was really ok for me. The doctor's assistant applied the numbing cream for me and let it take effect for about 10 mins. 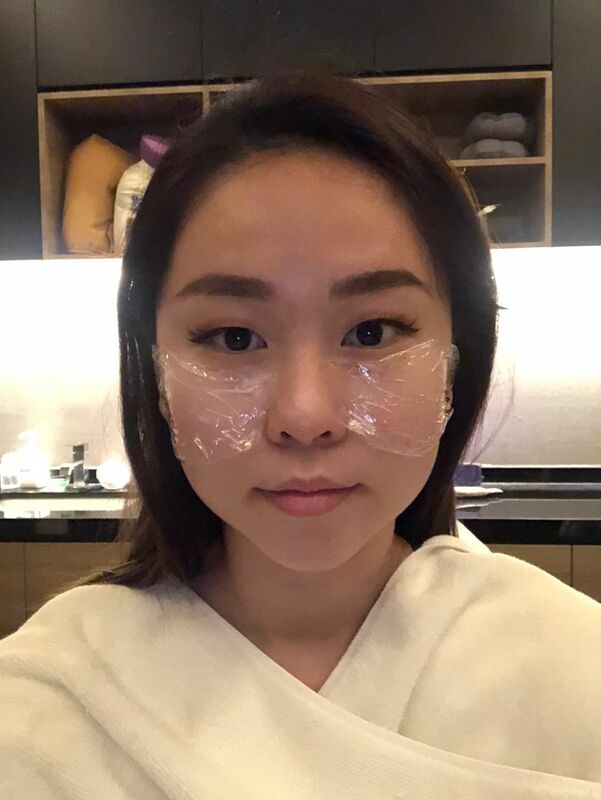 When the assistant wiped off the numbing cream, I can immediately feel the numbness under my eyes, towards the cheek areas. How long can Hyaluronic Acid (HA) fillers under the eyes last? All results differ across people, and there’s absolutely no time frame for it. Of course, the average lasting effect is about a year. 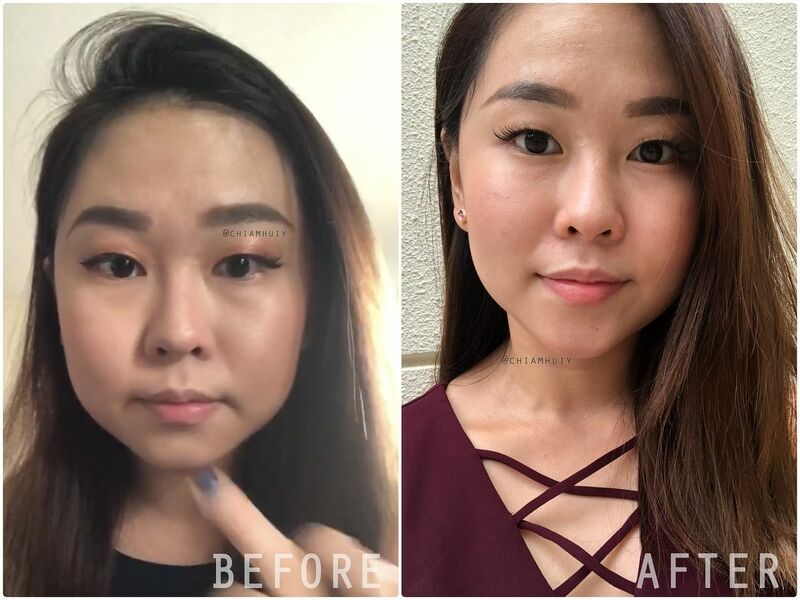 Any side effects or down time for injecting fillers under the eyes? Definitely no for me. I can continue work right after the procedure. That said, the doctor advised no alcohol and exercise, which is easy to comply. Some people may have bruising under the eyes, so it really depends on the person, whether he/she is prone to bruising etc. The doctor's assistant also advised me some of the food to avoid, such as those that can cause the blood to thin. This is take right after the procedure. Just a bit of redness on the injection hole, which totally look like pimples. Other than that, no other signs that I've done something haha. My second time (for a minor touch up to perfect it better). Here I had a little bit of powder to cover it up. What do you think about this procedure? I love it! It’s a really fast solution to me looking tired all this while. 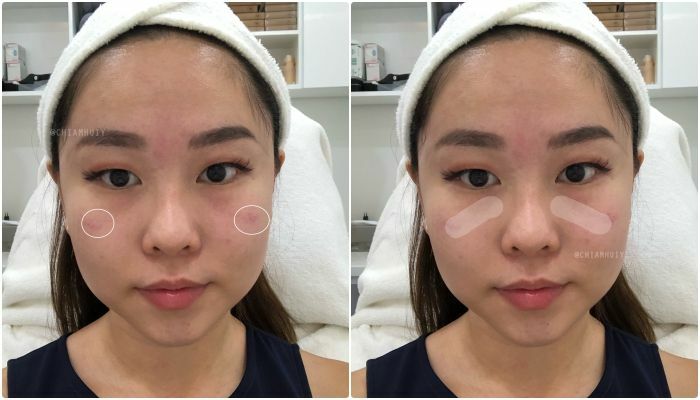 Surely a fast solution on how to reduce eye bags too. 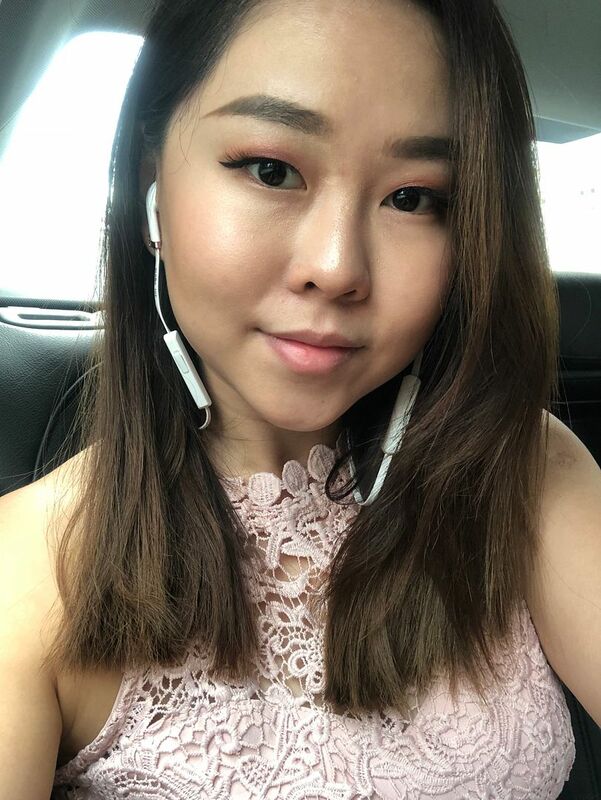 Now every day in the morning, I no longer see those heavy eye bags which looks exceptionally swollen in the morning (morning face you see). While the fillers fill up the tear trough well, the dark circles have lightened so much too. It’s much easier to cover up now because the area under my eyes are now more even. The area is no longer bulging so concealing is very much easier now. 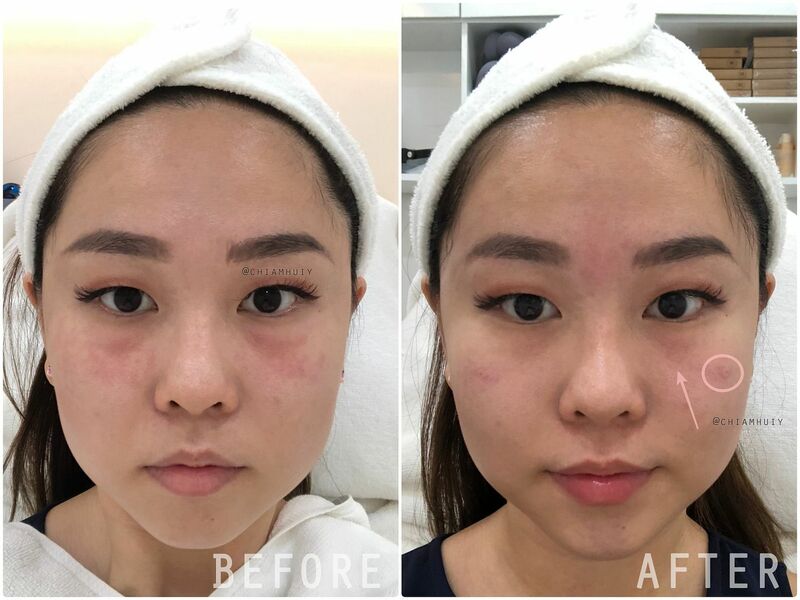 The photos taken right before and after the dermal filler treatment for under eye. You can clearly see that the tear troughs are filled up. My protruding eye bags are no longer that obvious. The best part is, the results will get better after a few days! All selfies have no filters or edits. Meet my Doctor, Dr Siew! He's the medical director of Radium Medical Aesthetics. 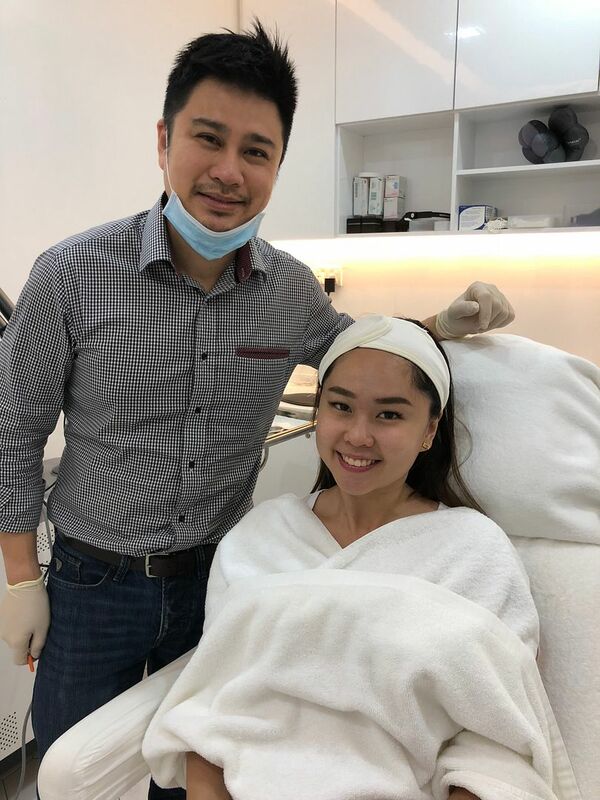 To my very pleasant surprise, I found out he actually teaches other doctors on aesthetics procedures, such as how to inject fillers. When I know I have such an experienced doctor to do my under eye rejuvenation procedures, I know I'm in good hands. I always clarify my doubts with Dr Siew and he would also always explain to me patiently. No signs of frustration or impatience. If you notice, his assistant is holding a black oval device, pressing against my forehead. The device actually vibrates and that would keep me distracted from the pain. It's my very first time using this device and I tell you, this thing really works and helps a lot. Also, you might be aware that Dr Siew was wearing different outfits, that's because it's two different sessions haha. I had my check up around a week after the first session. 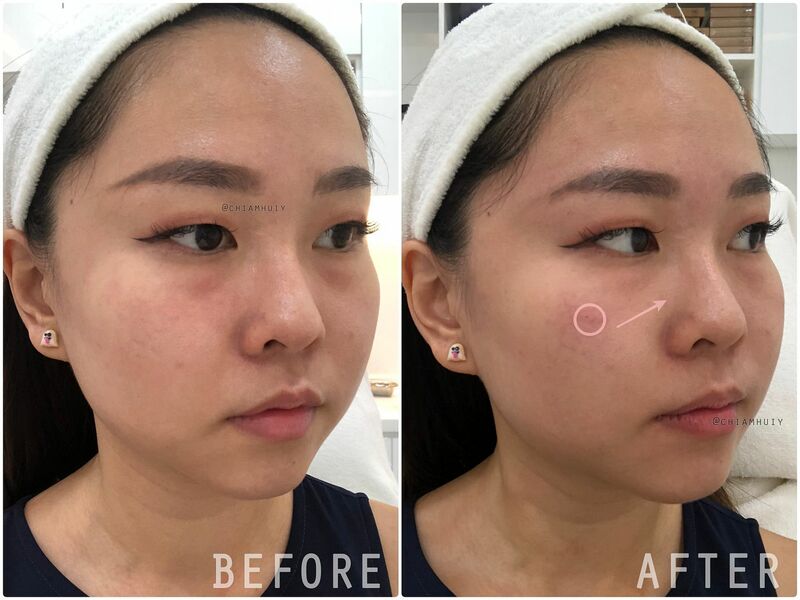 In the second session, Dr Siew merely did some touch ups in the areas he would like to improve on. And now, I feel that I look so much better without those tired-looking eye bags! 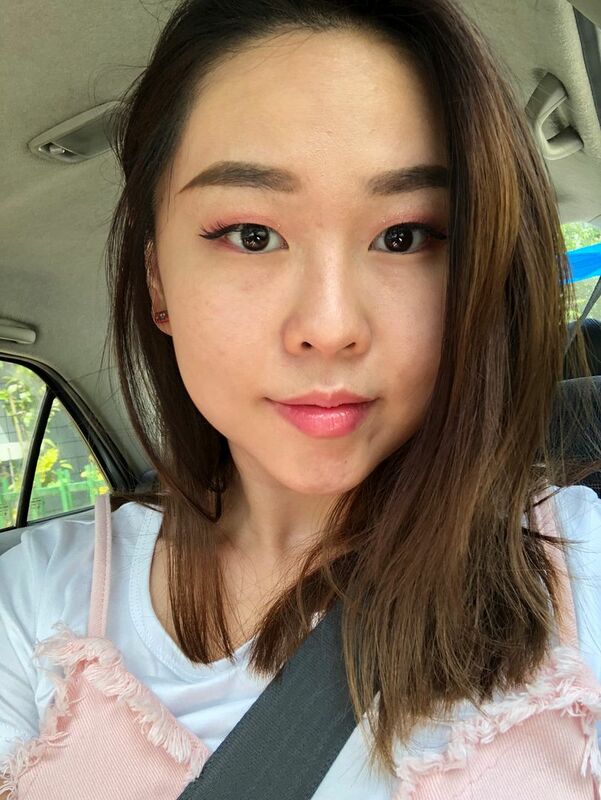 In fact, I wear lesser concealer somehow, some times even without concealer. If you look carefully, my under eyes look less dry with lesser wrinkles now. Again, these photos are non-edited. This is a before and after comparison right after the Dermal Filler under eye rejuvenation procedure. If you would like to find out more about the Dermal Filler under eye rejuvenation, do contact Radium Medical Aesthetics. The assistants there are very friendly!